The Villa Beli križ stands on a hillside above Portorož. 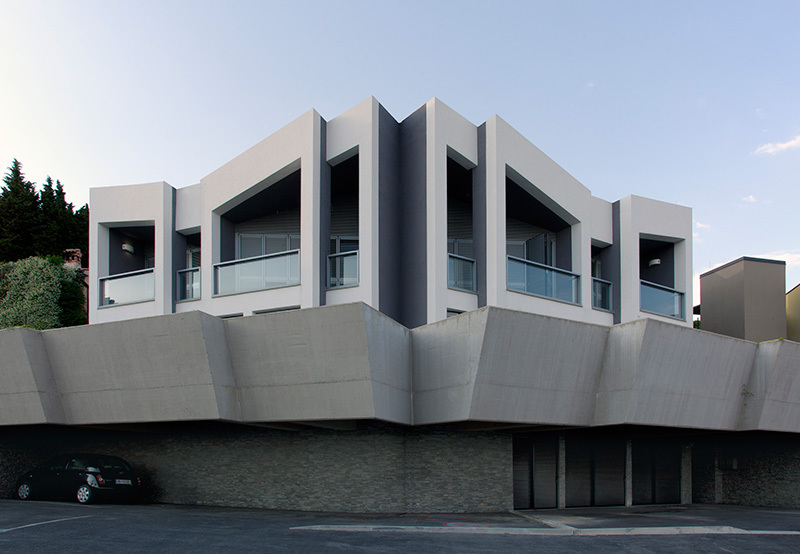 The building consists of a matrix of 12 flats in two storeys, 199 m² each. The villa has a common terrace on the shady side and a terrace with a pool on the sunny side. The flats inside the villa have huge glazed rooms which offer picturesque views over the sea and the horizon. 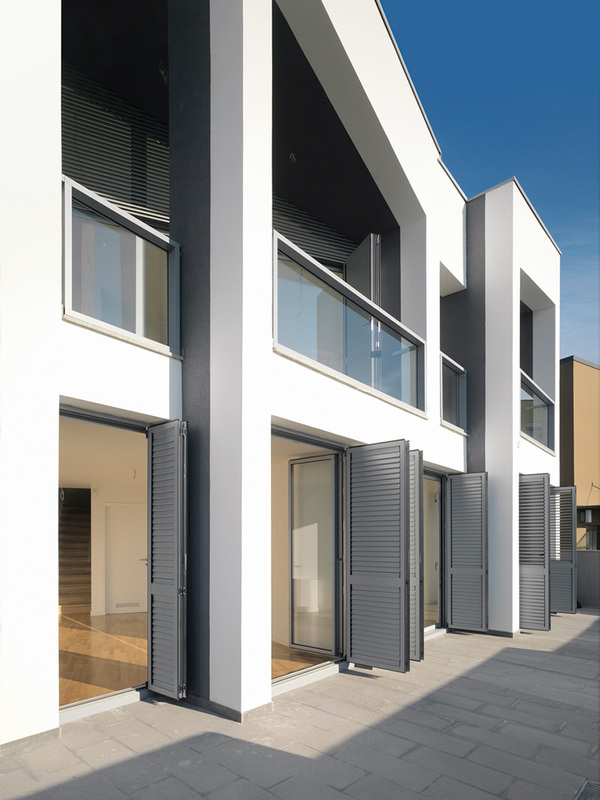 Such arrangement offers the residents desired privacy and intimacy, the flats on the upper storey have a nice view, while those on the ground floor have access to own garden. This consequently promises a variegated interior. The interior room opens towards the sea, alternate double pitch roofs lead towards a “wing” shape of the lateral part of the building. Pairs of flats are mirrored over the central axis. The villa is located on the garden roof of the garage, which still additionally highlights the originality of the villa. Alternate virtual opening and closing of the villa’s volume in front of the passers-by exploits the position of the villa at a road curve. 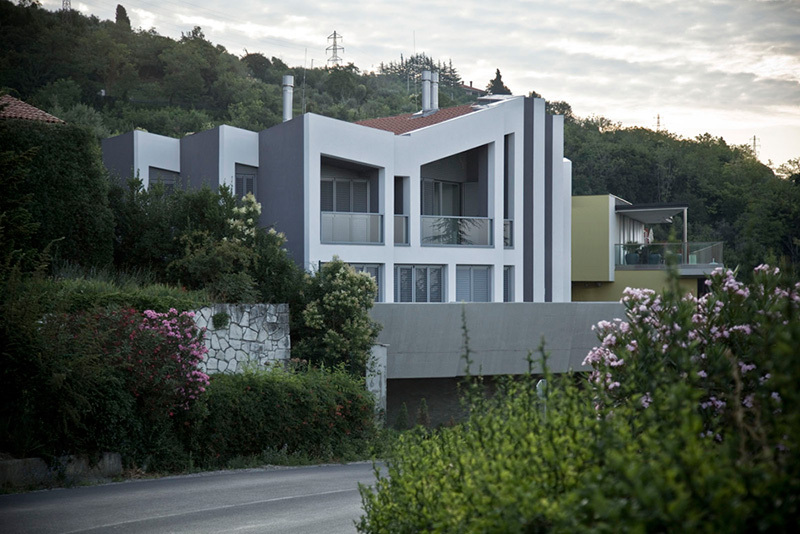 A white frame of a protective insulation material stands out from the close vicinity and interacts with white balconies of the hotels of Portorož, which lie lower towards the coast. Project typeResidential building: concrete platform, concrete wallsLocationPortorož, SloveniaArea398 m²Year(s)2007–2009ServicesStructural engineering: PGD, PZI, PIDArchitectureSadar+Vuga d.o.o.InvestorLesnina Inženiring d.d.Photosarchive SADAR+VUGA d.o.o.